In 1939 Columbia physicists Enrico Fermi and Leo Szilard conducted an experiment that proved nuclear fission was possible with uranium. They understood that the nuclear chain reactions they had made could be used to make an explosive. (Rhodes, 1986, pp. 291-293). 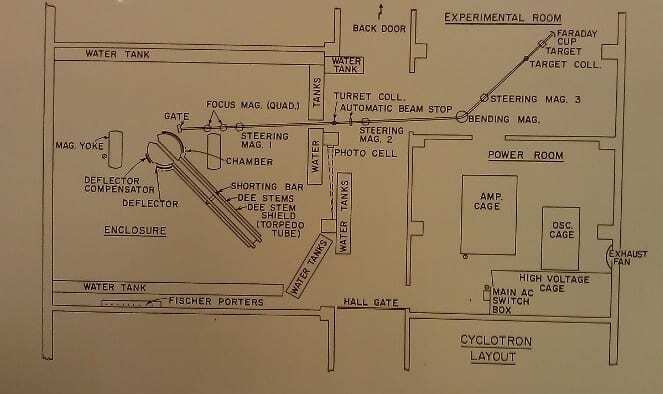 Szilard also invented the cyclotron, a circular particle accelerator. Columbia had one installed in the basement of Pupin Hall, the Physics Building. The S-1 Committee was at a loss as to which line of research to pursue. By 1942, there were five methods that seemed equally plausible. Instead of choosing one, the Committee decided that each one should be investigated simultaneously. (Groueff, 1967, pp. 10-12). Columbia University had been doing research on one of these methods, having received a grant to study it from the National Defense Research Committee in 1940 (Baggott, 2010, p. 105). The physicists were looking to create fissionable material by putting uranium through the “gaseous diffusion” method. Codenamed “Substitute Alloy Materials,” the project’s head was Harold Urey and its enthusiastic main scientist was John Dunning. The Columbia scientists theorized that if they could convert uranium to a gas made up of heavier isotope-238 molecules and lighter isotope-235 molecules (the ones needed for a bomb), they could force the gas through a barrier with microscopic holes so that the two types of molecules were separated. But this method would have required several thousand passes through a filter and a plant the size of a city, and they had not yet even invented a barrier small enough to separate tiny molecules. (Groueff, 1967, pp. 19-20). It took until June of 1943 for someone to discover a barrier that would work, but it wasn’t a Columbia scientist. The M.W. Kellogg Company in Jersey City, NJ had been brought in to construct the gaseous diffusion plant, but found that Columbia was foundering and decided to do its own research. Clarence Johnson, an M.W. Kellogg scientist, manufactured the first workable membrane. (Groueff, 1967, pp. 184-188). Construction on K-25, the 44-acre gaseous diffusion plant in Oak Ridge, TN, began on September 10, 1943 (Groueff, 1967, pp. 214-215). Columbia’s Nash and Schermerhorn Buildings had been acting as pilot plants for production of other types of barriers and quickly switched over to production of Johnson’s barrier. The K-25 plant had already been built to the specifications of a less efficient barrier, so it had to be restructured. In 1944 a group calling itself the “K-1 group” took office space on the 14th floor of the Woolworth building in order to work on the problem. The group included employees of Union Carbide, Houdaille-Hershey Corp., Bakelite, M.W. Kellogg, and Columbia (Groueff, 1967, pp. 273-275). Early in 1945, the K-25 plant went on line and began producing bomb-grade uranium for Los Alamos. (Rhodes, 1986, p. 602). This episode highlights the way the war effort brought together the military, industry, and academia. 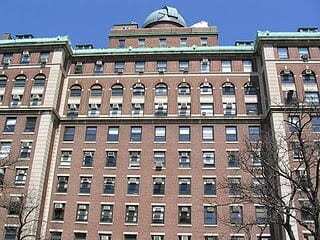 The military contracted with private companies and with universities like Columbia and the University of Chicago. The differences between the three sectors melted away as everyone was put in service of defense goals. Harold Urey became disillusioned with the gaseous diffusion project he was in charge of when he realized that the United States was no longer trying to quickly produce a bomb before the Germans did—the US government wanted to gain a permanent monopoly on nuclear weapons (Rhodes, 1986, p. 496). Perhaps unwittingly, Columbia and New York corporations helped to make this vision a reality. For further information about the legacy of the Manhattan Project sites at Columbia and elsewhere in the city, including their environmental remediation, visit this page.